The Goldert vineyard is located in the village Gueberschwihr on a gentle east facing rich limestone soil. Usually quite late ripening, the Goldert showed an unusual capacity to ripen the grapes very quickly in 2012. This is true also for the Muscat in the same vintage. The harvest was end October, and the grapes were affected with some noble rot (about 20%) explaining the lazy fermentation and the fact it stopped with a lower alcohol, keeping a significant residual sweetness. If the weather would have kept longer, it would have been an excellent candidate for Vendange Tardive. 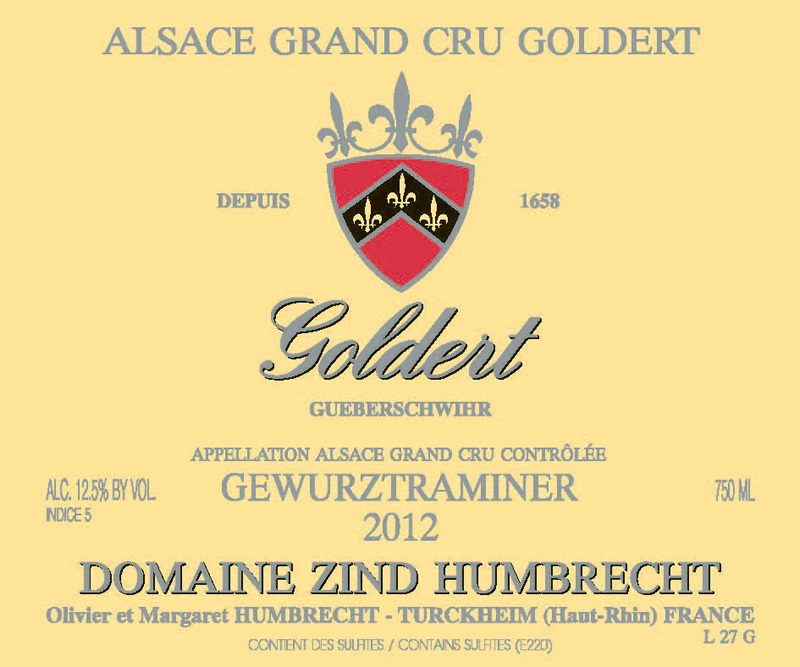 2/2012: the Goldert is often the richest and most floral wine which is confirmed by the 2012 vintage. The nose is intense, floral (rose, wild geranium), citrus fruits (grapefruit). Very delicate with no heavy or over insisting aromas. The palate needs some serious aeration (decanting) in order to loose its carbon dioxide, and then, eventually, it wakes up into a smooth, long caressing velvety wine, so easy to drink. The sweetness is here well present, but the low alcohol and acid/phenol influence bring a feeling of lightness on the finish. Great evolution with time, another wine that can be or should be cellared for a really long time.